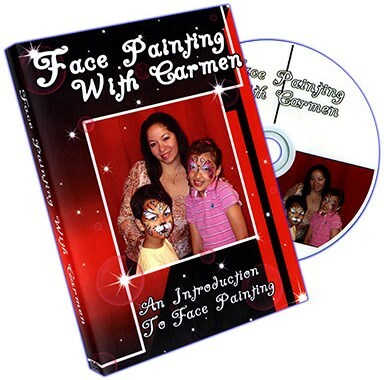 See how easy it is to learn face painting! You will learn how to paint like a pro with host Carmen Tellez. Carmen aka Charm the Clown, teaches two great faces, the butterfly and the tiger. Her easy to follow along, slow and detailed instructions, makes this the perfect dvd to learn from. Grab a friend or practice on your arm and in no time you will be face painting like a pro. Once you watch and master these two faces, your options are endless! Make thousands of children happy with your new found talent! Learn sponge techniques and sponges used. Learn about the different brush techniques and brushes used. Learn the differences in make-up. With the DVD format you can pause, rewind and watch over and over with a touch of a button!